When faced with the impossible, will you believe? Many of us have been faced with the impossible. We wonder if we can get through it. We wonder why God sometimes allows things to go the way that we do not want them to. When this happens, we need to only believe. We need to believe that God has the situation in His hand and that there is a reason for everything. William Sirls explores this in his debut novel, The Reason with strong emotion and heart. The Reason caused me to step away from my regular reading list. The book came at a wonderful time, as the first anniversary of the death of a friend who lost her battle with cancer is coming up. The book is full of emotions. It’s full of pain, full of sadness, joy and hope. Sirls makes sure that you feel every emotion and understand every character’s thoughts. Some people might find the message in The Reason controversial. I have read one review where it was said that it was misleading, but I did not see anything that would lead someone the wrong way. 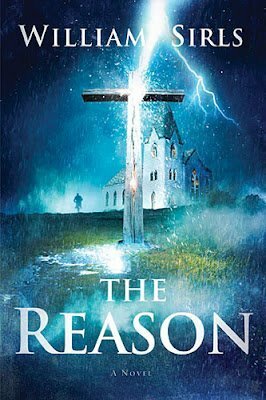 The Reason is an authentic book that I encourage everyone to read– both Christians and non-Christians. It would do many people good, I am positive of that.